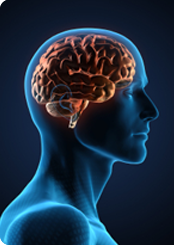 I wrote an article last July, 2018 for the Growing Deeper Roots titled "Be Like Jesus: Be a Thinker" but I went with an editorial suggestion to title it: "The Beautiful Mind of Jesus." The article challenges the idea that being like Jesus can be reduced to showing grace to others. I invite you to check it out. THE NEW TESTAMENT CANON: Human Invention or Divine Gift? I recently did a presentation on the New Testament Canon (which is actually a revision of a presentation I did in March 2014). I plan to write out the presentation in article form in the coming week (which will simply be a revision of this article); but in the mean time, I wanted to make the resources from the presentation available online. *Flow Chart: "Who Are The Apostolic Fathers & What Did They Recognize as Scripture?" *An excellent series of short videos on the New Testament Canon by top experts like Darrell Bock and Dan Wallace being interviewed on the John Ankerberg Show. *Kruger, Michael. Series of 4 Audio Lectures: (1) “The Definition of Canon,” (2) “The Origins of Canon,” (3) “The Artifacts of Canon,” and (4) “The Messiness of the Canon.” These are available for FREE online in MP3 format. Articles *Cooper, Brad. "Why 1 Timothy Was Written No Later Than 55 AD & Why That Matters"
*Pratte, David E. "The Authority of the Apostles' Teaching"
*Tregelles, Samuel Prideux. TheHistoric Evidence of The Authorship and Transmission of the Books ofthe New Testament. (London: Samuel Bagster & Sons, 1881). Available for FREE! 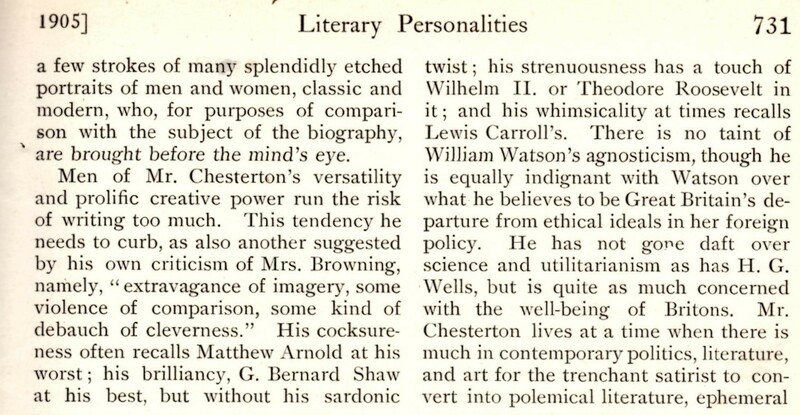 *Charteris, Archibald Hamilton. Canonicity: A Collection of Early Testimonies to the Canonical Books of the New Testament. (Edinburgh: William Blackwood and Sons, 1880). Available for FREE! *Westcott, B.F. A General Survey ofthe Historicity of the Canon of the New Testament. (London: Macmillan and Company, 1875). Available for FREE! *Harris, R. Laird. Inspiration and Canonicity of the Scriptures. Older versions of this book can be picked up much cheaper. *Gamble, Harry A. The New Testament Canon: The Making and Meaning. A concise and helpful overview of the scholarly issues. A somewhat different perspective than mine, but by a top notch scholar in this field. *McDonald, Lee Martin and James A. Sanders, editors. The Canon Debate. A large volume filled with essays of top notch scholars--though almost all of them are liberals and not conservatives (and none of the more important evangelical scholars who have done so much work in this field), so they are leaning strongly towards showing that the Bible is a human invention rather than a divine gift. So the title is quite misleading, but it is a great resource for a more in depth scholarly look at this subject. *Gallagher, Edmon L. and John D. Meade. 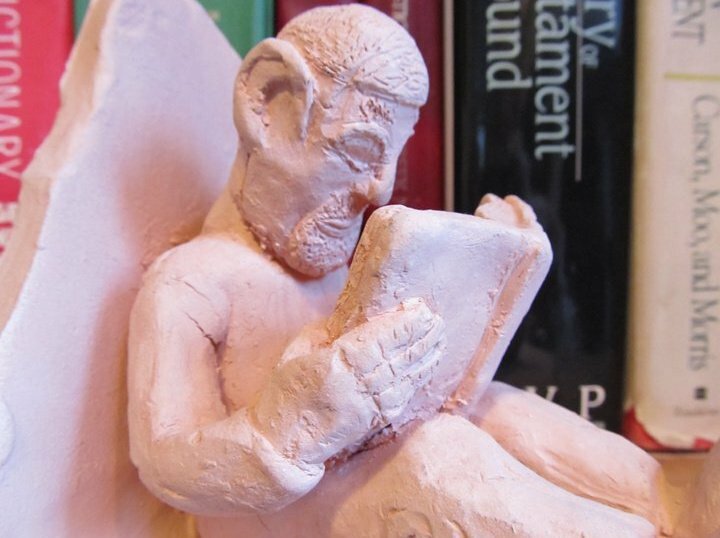 The Biblical Canon Lists from Early Christianity: Texts and Analysis. The authors' conclusions may be different than mine, but this is an excellent resource. While listening to a lecture by Ben Witherington, I noted that about the 16 minute mark, he makes the observation that a close study makes it nearly certain that Luke was the secretary behind the pastoral epistles. He notes that there are about 50 words that are used only in the pastoral letters and Luke-Acts and nowhere else in the New Testament. And that there are 7 or 8 distinct phrases that are shared only by the pastoral letters and Luke-Acts. He also notes that in 2 Timothy 4:11, Paul says: "Only Luke is with me." So the obvious conclusion is that Luke must be the secretary for 2 Timothy and also the other pastorals (as Paul always uses a secretary). The great New Testament scholar C. F. D. Moule put it this way: “Luke wrote all three Pastoral Epistles. But he wrote them during Paul’s lifetime, at Paul’s behest, and in part (but only in part), at Paul’s dictation.” [p. 434 of Moule's essay “The Problem of the Pastoral Epistles: A Reappraisal,” Bulletin of John Rylands Library 47 (1965)]. *For info on how Paul used a secretary for all of his letters, see my article: "Who Wrote the Pastoral Epistles?" So How Can We Know That 1 Timothy Was Written No Later Than 55 AD? Which of the Three Points in Paul's Ministry When Luke Is With Him Fits 1 Timothy? As 1 Timothy 1:3 reveals, Paul is probably writing from Macedonia (or at least he has been in Macedonia recently). In Acts 16:12, Luke is with Paul at Phillipi ("the leading city of that region of Macedonia"). Maps of Paul's 2nd missionary journey do not include Ephesus because the Holy Spirit kept them from entering Asia (Acts 16:6). But perhaps after they went to Troas, Paul sent Timothy on down to Ephesus in order to keep with their original intentions: “Let us go back and visit the believers in all the towns where we preached the word of the Lord and see how they are doing” (Acts 15:36). Perhaps Paul caught wind of the trouble there: "As I urged you when I went into Macedonia, stay there in Ephesus so that you may command certain people not to teach false doctrines any longer or to devote themselves to myths and endless genealogies. Such things promote controversial speculations rather than advancing God’s work—which is by faith" (1 Timothy 1:3-4). And perhaps his response was to send Timothy at once since the Holy Spirit was leading them into Macedonia (Acts 16:9-10). This would make good sense of 1 Timothy 1:3, which is more literally: "Just as I urged you to remain in Ephesus--as I was departing for Macedonia--in order to instruct certain men not to teach heresy." This seems like a possible option but highly unlikely, because (a) Timothy appears to be with Paul during Acts 16:10-17 and leaves for Macedonia after this period (Acts 17:14-15); (b) he is probably too new to Paul's ministry to be suddenly sent off by himself (joining Paul only in 16:1); (c) he is with Silas when he does leave Paul and appears to be with Silas (Paul's seasoned ministry partner) the whole time (though it is not certain, but see Acts 17:14-15; 18:5), which coincides with "(b)" and also would mean that any letters would have been written to both Silas and Timothy (or just to Silas). (a) Timothy is with Paul when Paul decides to go back through Macedonia himself (Acts 20:3-4). Again remember: 1 Timothy 1:3 reveals that Paul is probably writing from Macedonia (or at least he has been in Macedonia recently) (b) Paul makes a decision to avoid going back to Ephesus because of time constraints (Acts 20:16). (c) The elders of Ephesus have been appointed by this point in time, as Paul sends for them to meet him (perhaps as newly established elders; see Acts 20:17). (d) This is a period of time when Timothy is being sent off on his own to help with established churches (e.g., 1 Corinthians 16:10-11, which we will see has yet further implications here). (1) Timothy begins his ministry with Paul in Acts 16:1 on Paul's Second Missionary Journey (c.49 AD). So if 1 Timothy was written in the 60s, why would Paul tell him: "Don’t let anyone look down on you because you are young,...." (4:12)? Would Timothy still be thought of as young 12 to 15 years later? By the early 60s he would surely be at least somewhere close to 30 years old (which is how old Jesus was when he began his ministry, see Luke 3:23). (2) Secondly, why would anyone be looking down on Timothy in the early 60s? By then, he would be a very well established and well known part of Paul's team. This would be true not only because he would have been part of that team for over a decade. Even more than that he is mentioned in the letter to the Hebrews, to Philemon and 13 times in Paul's letters to the churches (that is in all but the letters to the Galatians and Ephesians). And we know that at least some of these letters were circulated among the churches at Paul's request (and probably all of Paul's letters to the churches). Colossians 4:16 is explicit about that. Galatians is not written to one church but to the churches of Galatia (1:2). And Ephesians is considered by many scholars to have been intended to be a circular letter. And as Paul's letters were considered to be Scripture (2 Peter 3:15-16), it is more than likely that they were copied and circulated. And this would surely be true by the early 60s (which is very likely when 2 Peter was written), as Peter speaks of "all his [Paul's] letters" as if his readers would understand. (3) Furthermore, he would be personally well known to the church at Ephesus, as he was with Paul on Paul's second missionary journey when they first went to Ephesus and spent more than two years there (see Acts 19:1-10). (4) More than that, why would Paul be laying down the ground rules for selecting elders so late in the game--particularly at Ephesus? Elders had been selected at Ephesus in the early 50s, as can be seen by the fact that Paul meets with them in Acts 20:16-38. (5) After more than a decade of ministry with Paul, Timothy would certainly be well acquainted with how elders were to be selected and would hardly need for Paul to write a letter to him to explain it. (6) Those who hold to this view have to imagine that Paul was released from prison and then went on yet another missionary journey for which we have no record. It does seem quite possible that Paul did make yet another journey; but the point is that it is completely hypothetical and we have nothing at all to indicate that it would have included Timothy at Ephesus or Paul in Macedonia. The reason this is important is because Paul quotes the Gospel of Luke in 1 Timothy 5:18 and calls it "Scripture," which means two things: (1) it was already written down (as γραφή the Greek word for "Scripture" literally means "written") and (2) it was already considered to be an authoritative part of the Biblical Canon (as γραφή is always used as a technical term for the canon of Scripture). (1) This establishes a date for the composition of Luke no later than 55 AD, putting it much closer to the recorded events and available eyewitnesses (cf. Luke 1:1-4). (2) Since it is nearly universally agreed that the Gospel of Mark was one of the sources that Luke mentions in his prologue (1:1-4), this pushes the date of Mark to some time before 54 AD. And if Matthew is one of the other sources Luke mentions when he says: "Many have undertaken to draw up an account of the things that have been fulfilled among us...." (1:1), then the same applies to Matthew. (3) It clearly demonstrates that New Testament books were already beginning to be recognized as "Scripture" and therefore as part of the canon no later than 55 AD (contrary to the prevailing idea that they did not have the status of Scripture until much later). Or in the case of the Gospel of Luke, it immediately had the status of Scripture (which I will show in more detail in an upcoming article on the canon was in fact the case). (4) Establish the authenticity of 1 Timothy as one of Paul's letters. (5) Establish the historicity of Acts. As John A.T. Robinson concludes after carefully comparing and merging the historical data from Acts and the Pauline letters in order to arrive at accurate dates for their composition: "The working assumption we made to trust Acts until proved otherwise has been very substantially vindicated. There is practically nothing in Luke's account that clashes with the Pauline evidence, and in the latter half of Acts the correspondences are remarkably close. Even in the speeches attributed to Paul, and especially those at which Luke can be presumed to have been present (Acts 20 and 22-25), there are parallels to suggest that they are far from purely free compositions. This conclusion must also be relevant as we turn now to consider how close in date Acts stands to the evets which it records." Additionally, (6) this fits neatly with other evidence that I have been collecting over the last several years related to Paul's use of the Gospel of Luke in his letters. How great the love of God is! "You see, at just the right time, when we were still powerless, Christ died for the ungodly. Very rarely will anyone die for a righteous person, though for a good person someone might possibly dare to die. But God demonstrates his own love for us in this: While we were still sinners, Christ died for us. Since we have now been justified by his blood, how much more shall we be saved from God’s wrath through him! For if, while we were God’s enemies, we were reconciled to him through the death of his Son, how much more, having been reconciled, shall we be saved through his life!" There is some sense in which the Gospel itself is an apologetic. On the one hand, "it is foolishness to those who are perishing" (1 Corinthians 1:18), yet on the other hand, there is a beauty and genius to it that surpasses every futile religious attempt in the entire history of humankind. 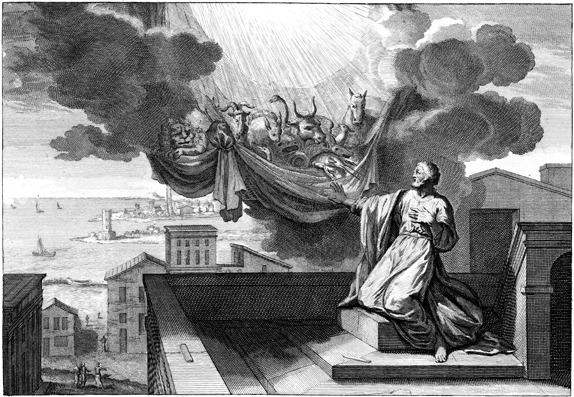 In Acts 10, the apostle Peter is up on a roof praying and has a vision in which he is confronted by a voice from heaven. A sheet is lowered down from heaven which contained all kinds of animals that God had said in the Old Testament were unclean for Jews to eat. Then this voice from heaven tells Peter to take them and eat them. Peter refuses and says that he has never eaten anything unclean. The voice speaks a second time and says: “Do not call anything impure that God has made clean” (Acts 10:15). The Greek word translated "made clean" is in the aorist form, that is in the past tense. So the voice is explicitly saying that at some time in the past God made all these animals clean. But when did God make all these things clean? It most certainly was not anywhere in the Old Testament. Neither was it at the time that the sheet was being lowered down. If so, it would make no sense for Peter to refuse to eat the animals in the sheet and say: “I have never eaten anything impure or unclean” (Acts 10:14). The voice from heaven speaks as if Peter should know that these animals had been made clean, so why does Peter respond as if he does not know? It had to have been something previous in Peter's experience that he had not yet fully processed. This could be one of those unanswered mysteries, in which we just don't have enough information to answer that question. But in chapter 7 of the Gospel of Mark, there is an editorial comment inserted after Jesus' teaching about his disciples not washing their hands when they eat. Jesus' teaching on the matter is summed up in Mark 7:15: "Nothing outside a person can defile them by going into them. Rather, it is what comes out of a person that defiles them." Then, when the disciples are alone with Jesus, they ask him to explain. He responds to them in Mark 7:18-19: "Are you so dull?” he asked. “Don’t you see that nothing that enters a person from the outside can defile them? For it doesn’t go into their heart but into their stomach, and then out of the body.” Immediately following these words, we have this editorial comment from Mark: "(In saying this, Jesus declared all foods clean.)" The words quoted above are the New International Version's attempt to translate the Greek. But the word "declared" is not in the Greek. The only verb here is the same one translated "made clean" in Acts 10:15: καθαρίζω, katharizō, "make clean." Literally, this editorial comment in Mark 7:19 reads: "...making all things clean." When did God make all things clean? He did it when Jesus spoke these words recorded in Mark 7. But he did not do so explicitly and Peter had not yet fully processed Jesus' words, bringing them to their logical conclusion. He does not do so until after confronted by the voice from heaven in Acts 10. This is just one more interesting little "undesigned coincidence" that confirms that the Biblical writers are writing down things that actually happened and not simply manufacturing stories on the fly. But wait, there's more! Curiously, though Jesus' teaching about washing hands is recorded in Matthew 15, only Mark records this editorial comment that Jesus was making all foods clean. Why is that interesting? Because Mark is recording the testimony of Peter and it is Peter who is confronted by the voice from heaven. Evidently, this confrontation with the heavenly voice brought Jesus' words about washing hands to mind and it all made sense. And so, this editorial comment reflects the impact of that interaction in Peter's experience. And by the way, guess who asks Jesus to explain the parable. Yep, Peter (Matthew 15:15). And he does it at Peter's house (see Howson's remarks below). So this not only becomes another small piece of evidence in our overwhelming cumulative case for the historicity of the Gospels but also for the traditional authorship of the Gospel of Mark as passed on to us by the apostolic father Papias (that Mark is recording Peter's testimony). Among the sayings uttered by our Lord which may be truly termed parables, though not always formally classed under that designation, was this: "There is nothing from without a man, that entering into him can defile him: but the things which come out of him, those are they that defile the man. "1 The first part of this sentence, though only referring to outward things, carries with it large and far-reaching spiritual meanings. Hence it may correctly be termed a parable. Now we come to the point of special connection with St. Peter. In order to see it distinctly, we must put together the accounts of St. Matthew and St. Mark. Both these evangelists tell us that the disciples afterwards privately asked the meaning of the parable. But one of them informs us of the place where this conversation occurred; the other tells us who asked the question that led to Christ's answer. St. Mark says that it was "when He was entered into the house from the people" that this private conversation took place. That was the house of Simon and Andrew. But St. Matthew tells us of something still more definite and personal: "Peter said unto Him, Declare unto us this parable." Peter is, as usual, ready with his words; and while, doubtless, honestly eager for instruction, by no means retires behind the others into the background. We have to thank his impetuosity, if we may reverently say so, for a very important result. For, after our Lord has explained that what goes into a man's mouth merely follows physical laws, and has no necessary effect on his character, He declares to us the solemn truth that the evil thoughts and foul desires which come from within do defile him morally and spiritually. After this statement, St. Mark adds, according to the true reading of the manuscripts: "This He said, cleansing all meats," pronouncing all food pure. 1 Matt. xv. 1-20; Mark vii. 1-23. This is not the place for any remarks in detail on the critical question here involved. But the fact of the true reading, which has been very curiously preserved, may be stated very confidently.1 And from this fact the mind passes, by a rapid process of thought, to another occasion on which St. Peter was afterwards concerned with the same subjects. Can we doubt that a remembrance of his Lord's words came into St. Peter's mind in connection with the case of Cornelius, if not with the flash of a sudden conviction, yet with a gradual, and, in the end, irresistible persuasion, during the vision at Joppa, or in conversation at Caesarea? The Lord had spoken the words in answer to a pointed question; and the question had been asked in Peter's house and by Peter himself. We should note, too, that the identical Greek word for "cleansing," or "declaring pure," is used in the two cases. It is a most expressive word, which, besides teaching the lesson for the moment of the worthlessness of all merely external observances, proclaims all caste to belong to temporary states of society, and to be out of harmony with the true spirit of the Gospel. This link of connection between Capernaum and Caesarea, between a parable, at first obscure, and the broad, luminous teaching of the universality of the religion of Christ, is full of interest, and has not been observed so carefully as it deserves. 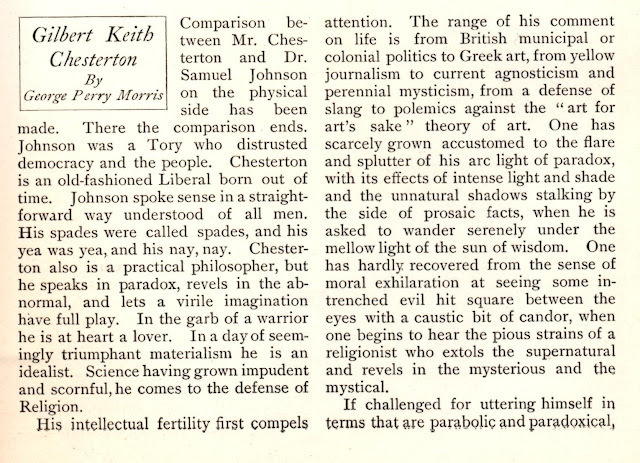 As I was preparing to sell an old magazine on eBay this morning, I came across a critique of a young G.K. Chesterton. 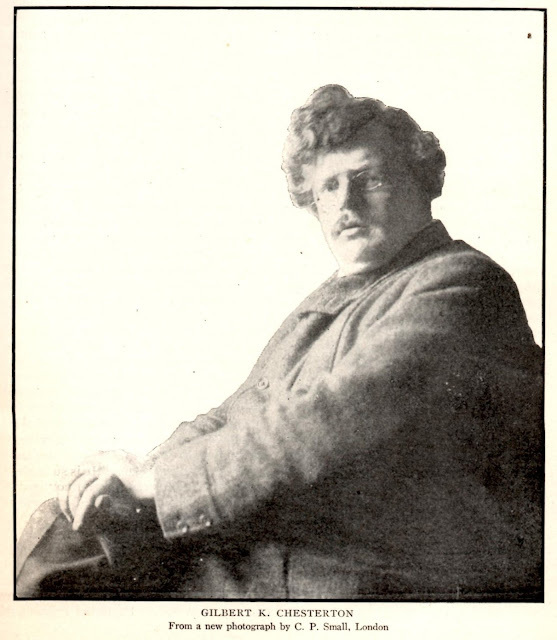 It is interesting to reflect on the impact that Chesterton was already having at the age of 31 (born May 29, 1874/died June 14, 1936) and continues to have well over a century later. I am sure we can learn some things from this literary giant and great defender of the faith. 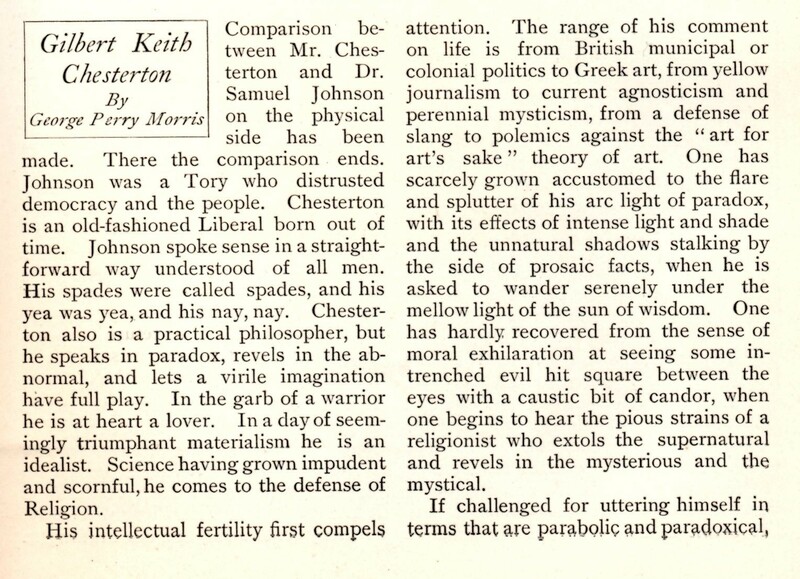 I have scanned the article which has long been in the public domain because I have not seen it shared any place else and I know others will enjoy reading it and benefit from it. One thing that struck me as I was reading it is a striking resemblance to the work of Eric Metaxas, who has also been criticized for biographical inaccuracies (i.e., in his biography of Bonhoeffer). The example of Chesterton should remind us that we should not be so scathing in our criticisms of fellow believers. "MARSHALL TURNS THE JOINT EFFORT OF THE SKEPTICS ON ITS HEAD"
words keeps the book moving along—often leaving you with a smile or a chuckle. But this book is far more than entertainment. To be sure, there are times when the detailed analysis does indeed cause the book to lag a bit, but such tedious work is sometimes important when digging for gold. And there is indeed gold in them hills! (1) Dr. Marshall engages the arguments of some of modern culture's most popular skeptics as they attempt to mythicize Jesus and discredit the Gospels that relate Jesus' teaching, miracles, death and resurrection. Marshall specifically engages the views of Bart Ehrman, Richard Carrier, and Reza Aslan. 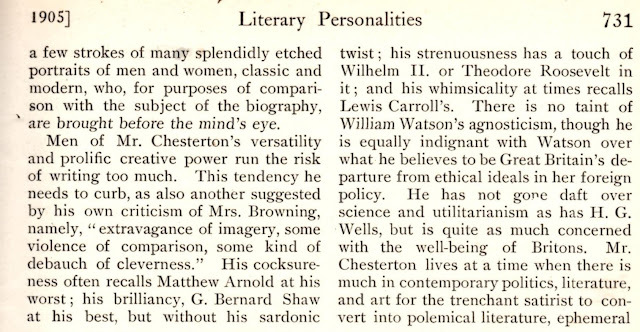 He provides brief (chapter long) analyses of each and skillfully makes note of some fatal weaknesses. As these skeptical detractors of Jesus are having a significant impact on our society and misleading many to believe things that are just not so, this section meets a clamoring need. (2) In the second section, Marshall lays out 30 criteria for analyzing the historicity of the Gospels (which will serve as preparation for a serious comparison with the parallels alleged by the likes of Carrier and Ehrman in the third section). Marshall makes good use of recent work by great scholars like N.T. Wright, Richard Bauckham, and Timothy and Lydia McGrew. But he also provides his own original and helpful criteria for analyzing the Gospels' historicity. So this section is important for two reasons: (a) Helpful criteria for analyzing the historicity of the Gospels found nowhere else (so far as I am aware—and I have spent a lot of time studying this very subject). And (b) the collection of a large set of criteria into one place, which makes for a robust and powerful cumulative argument. (3) In the third section, Marshall uses the criteria that he has just discussed related to the Gospels to see if the parallels offered by the skeptics stand up to scrutiny. Marshall carefully analyzes Apollonius of Tyana (who is most commonly offered as a historical figure parallel to Jesus), looking at his general historicity in one chapter and specifically at his miracles in the next. Then Marshall spends two chapters comparing the Gospels to ancient Greek novels--as skeptics have alleged that this might be the genre of the Gospels rather than historical biography. In the fifth chapter in this section, he compares the Gospels to the hagiography that arose in the 2nd Century and later. And finally, Marshall looks closely at a novel suggestion that Bart Ehrman recently proposed as a parallel to Jesus: the 18th Century Hasidic rabbi, Baal Shem Tov. In all cases, the parallels are clearly shown to be comical comparisons to Jesus. Again, I am not aware of anyone else who has taken the time to do this important and timely work. (4) But perhaps the most important contribution that this book makes is that Marshall takes the skeptics' joint effort to mythicize Jesus and turns it on its head. The skeptics' desperate attempts to show that there were many others like Jesus instead reveal that Jesus is indeed unique among all persons of history. As Marshall notes: “If after ransacking your house for weapons, you challenge a thief with a butter knife, that probably means no more potent hardware lies hidden in your closet” (p.204). No one else ever claimed divinity like Jesus and left a lasting legacy...because no one else ever taught like him, performed miracles like him, showed compassion to outcasts like him, fulfilled ancient prophecies like him, died like him and rose again like him in a way that was experienced publicly and is therefore historically verifiable—and by hundreds of witnesses willing to suffer and even die for their testimony to these things. There is nothing else like this in history. 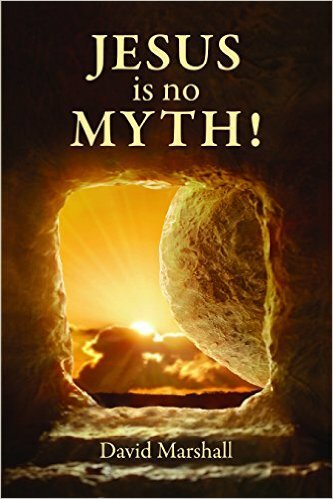 So this book provides important resources not only to anyone confused by the skeptics' claims but to anyone seeking serious analysis of the credibility of the New Testament Gospels and a mountain top view from which to see how truly unique Jesus truly is. All that being said, David's book, How Jesus Passes the Outsider Test is probably still my favorite. You'll want to read it, too. NOTE: This book does need some editing. Due to a rush to get this printed before his speaking tour, there are a significant number of typos and grammatical errors, which on a few pages show up in droves. But don't let that relatively minor issue stop you from a read that will be well worth your time. WorldBible.org: Find the Bible in more than 4000 languages! 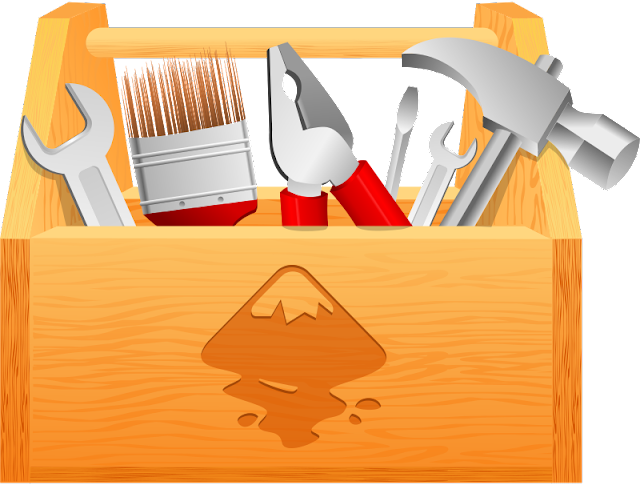 *MASTER LIST OF APOLOGETIC RESOURCES: Lots of help for all your apologetics needs. *1000's of FREE! BOOKS, AUDIOBOOKS & JOURNALS for Apologetics & Bible Study, etc. *READ & STUDY THE BIBLE: Tons of resources! *DO WE NEED APOLOGETICS IN THE CHURCH? : A brief article with lots of resources.